"Talk about David and Goliath," says Henton now. "Nobody gave us a hope." It was an achievement that was very much out of the ordinary. Should you suggest it was also out of the blue, you'll meet a polite but firm rebuttal from Brian Lewis, a highly respected F2 operator and the man behind the Boxer project. "It came from years of graft and experience," he maintains. It was experience that stemmed from running Coombs' F2 Brabhams and F2 Marches for Stewart, Brabham, Cevert and Depailler, plus stints in F1, sportscars and saloons. But this win was also about getting everything right on the day. It helped that car and driver were at home at Thruxton. "It understeered a bit, which suited the circuit," says Henton, who knew all the Hampshire track's foibles and was super-quick there. Lewis continues: "We had a good strategy too." Henton had qualified the PR276 second to Alex Ribeiro's works March. The Brazilian took off at the start, and Superhen' settled into a predetermined easy early pace, looking after his tyres on this abrasive surface. Ribeiro's tyres soon started to suffer and Eddie Cheever took up the running in a Ron Dennis-run Raft-BMW RT1, before picking up a slow puncture. Riccardo Patrese was next to the fore in the Trivellato Chevron-BMW B40, but a flat-spotted tyre and a misfire blunted his challenge, and Henton swept through to a memorable win. True, he had benefited from others' misfortunes, but he had been in contention throughout. holding something in reserve. 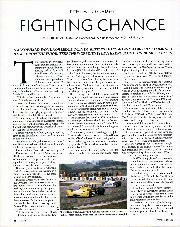 And it should be pointed out that the likes of Keke Rosberg, Rene Amoux, Didier Fironi and Bruno Giacomelli were also-rans that day. 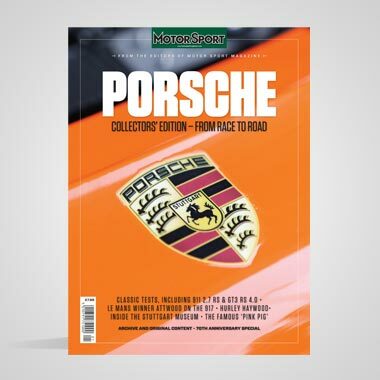 "The best bit was the look on [March boss] Robin Herd's face as I took the flag," recalls Henton, who also rates this win among his best Motorsport memories. 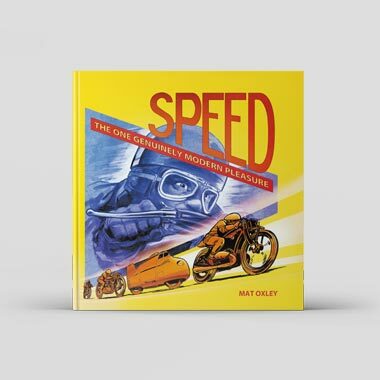 "It was against the odds and you remember those things like setting fastest lap at the  British Grand Prix in the Tyrrell." For Lewis, however, the feeling was strange, mixed. "I thought it had top-three potential at Thruxton," he says, "and I had a job to stay calm before the race. Afterwards, though, it was an anticlimax. It was, 'Well we've done it, what next? Do it again.' It was just another race meeting, but it did feel a bit special, I guess." Boxer, though, never did do it again. Lack of money to develop the car told, and by mid-season Henton, who was hard at work on his own abortive British Formula One Racing Team in Grands Prix, made way for the better-backed Danny Sullivan. The new partnership didn't bear fruit According to Lewis, the American who went on to win the Indy 500, "didn't seem to shine at that time." 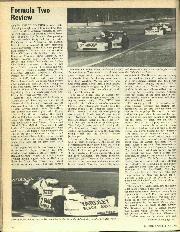 The Boxer story had started in 1975, when Lewis was running F2 and F3 Marches for Bang & Olufsen. 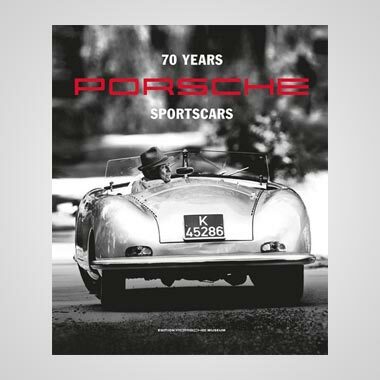 He was less than impressed by the March: "I figured it wouldn't take much to build something that would be competitive with it"
Over the year, a new car was designed by John Clark (ex-March and the man who designed Frank Williams' Iso-Marlboro F1 cars). Clark produced the tub in his Bagshot workshops and it was built up by Lewis' B&O team, who unveiled at Thruxton at the end of 1975. Its name was an afterthought Part of the idea behind it had been to produce cars that sponsors could adopt and name. However, the big-money backer never appeared, and Lewis switched to a suggestion made by Motoring News journalist Murray Taylor (later a top F3 team owner). "At the time," says Lewis, "I had a couple of Boxer dogs, and he [Taylor] said, 'Why not call it Boxer?'" So he did. Two chassis were eventually built, one to Formula Atlantic spec and one to F2. In 1976, American Tony Rouff did most of the driving, concentrating on Atlantic and only missing the title after a controversial on-track run-in with Ted Wentz, which earned Wentz a fine, but no points penalty. 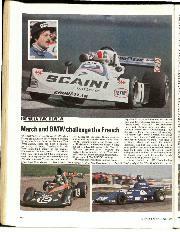 Rouff also drove it in Swindon BDX-powered F2 trim in some sounds of the Shellsport F5000 series, which was then open to F1 and F2 cars as well. Henton took it over at the end of the year and matched the pole position time of Guy Edwards' F1 Brabham BT42/44B at Oulton Park's Gold Cup. The Boxer led for much of the way, too, until back-marker trouble dropped it to second. It was a fruitful tie-up for both parties. Lewis explains: "Brian never made any money out of the deal, but it did him a favour and it did me a favour." 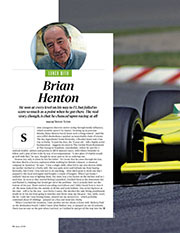 Henton acknowledges that the deal came at a good time for him after a disappointing first foray into F1 with Lotus in 1975: "It definitely helped career-wise. And it was a wonderful outfit." Over the winter of 1976-77, Henton brought Mike Pilbeam to the project, who worked on the suspension and aerodynamics, and the operation was on target for the Jochen Rindt Memorial Trophy at Thruxton. Bang on target. By 1978, though, Boxer's star was on the wane. 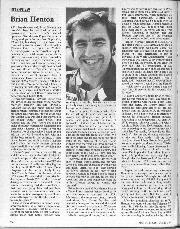 Lewis ran a series of rentadrivers, before coming to a decision that either he would find a serious budget for 1979 or quit. The money never appeared. In a final flurry, he ran a Boxer in hillclimbs during 1979 for the late Max Harvey, the man who had been the project's financial lynchpin. And that was pretty much it for Lewis in Motorsport. Two Boxers are still in his workshop one displayed on the wall, the other in pieces but he has no regrets: "I did it for 20 years and worked with all the best drivers of the time, apart from Jimmy Clark." 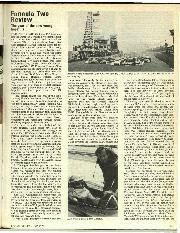 The flame's not out completely, though: "I keep reading about these mega-quick Marches in historic racing. Maybe I should turn out again and blow them all away."